So, I was shopping for a knitting bag online (I didn't have a red/pink one). 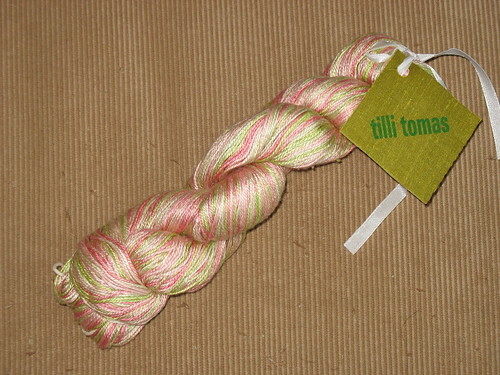 And decided to pick up some yarn so got myself a Tilli Thomas Shawl kit. It was a chance to get a fun cobwebby pattern and to check out this silk/Seacell blend I keep hearing about. 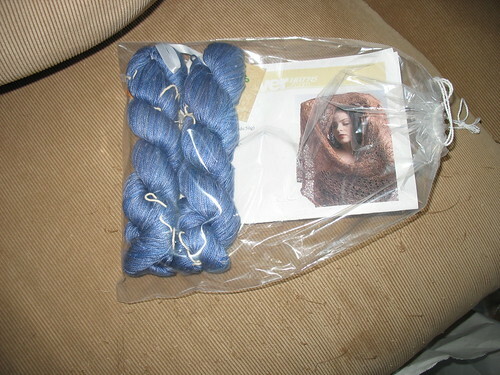 And then I got my February Yarn - same yarn. The only thing that would have been funnier, is if I had gotten the same colorway.